Sleep is great, but it is one area of our lives that frequently people skimp on. 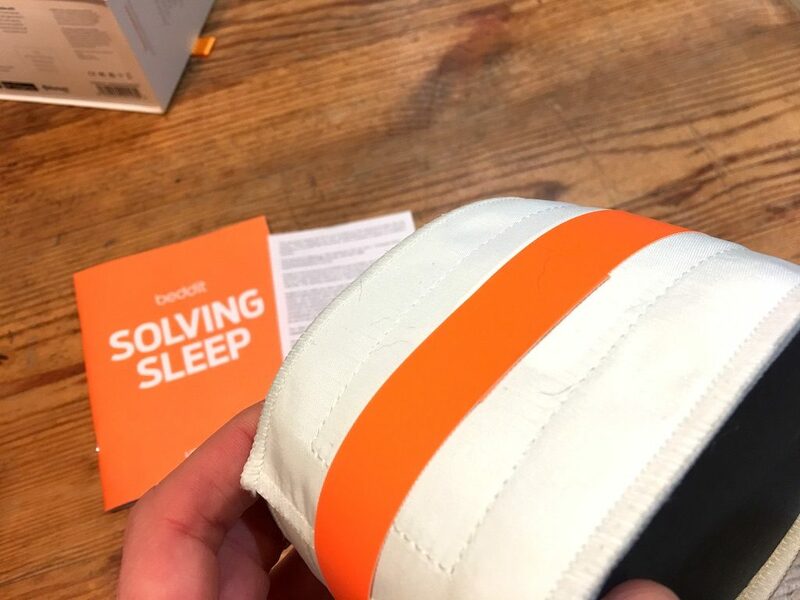 There are many sleep trackers on the market, but not all are created equally, especially when it comes to comparing a wrist-mounted unit with a bed mounted sleep tracker such as the Beddit Smart Sleep Monitor. 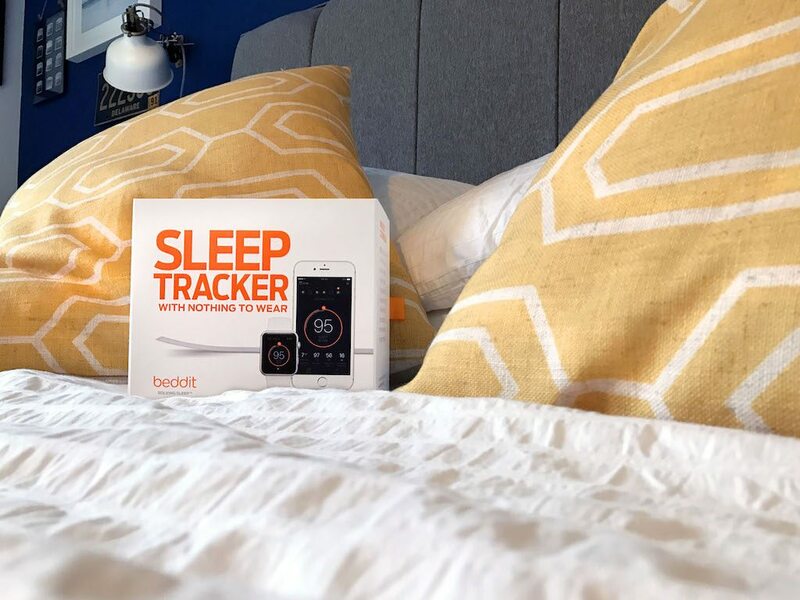 What difference does a dedicated sleep tracker make, and is it worth buying a unit over your standard wrist activity monitor? 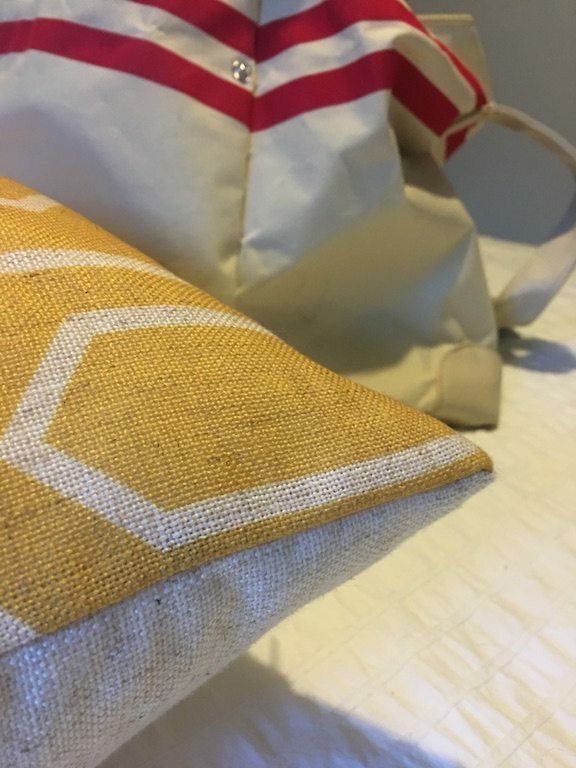 What I mean is that a member of the Sky Team support staff will have sourced a mattress similar to the riders home bed, but will also be tasked with bringing matched linens and select personal effects from home, which will then travel with the rider, aiming to make sleep as restorative as possible by mimicking the riders home environment. Sleep is vital for the bodies recovery. Both of the muscles but as well as the mind. A well-rested athlete is both physically and mentally more capable, than a rider who has had the same duration but of poorer quality sleep. Researchers at Stanford University looked at increasing the sleep duration of basketball players to 10hrs per night, and in turn found their accuracy, and goal scoring improved by 9%. The BMJ has recently published an article looking at the health consequence of shift work, showing in changes shift from day to night have a significant deterioration in the quality of sleep. The point here is not just that poor sleep makes you a little grumpy, but can have a massive impact on productivity and the likelihood of making a mistake. This is the same for medics or other professionals. 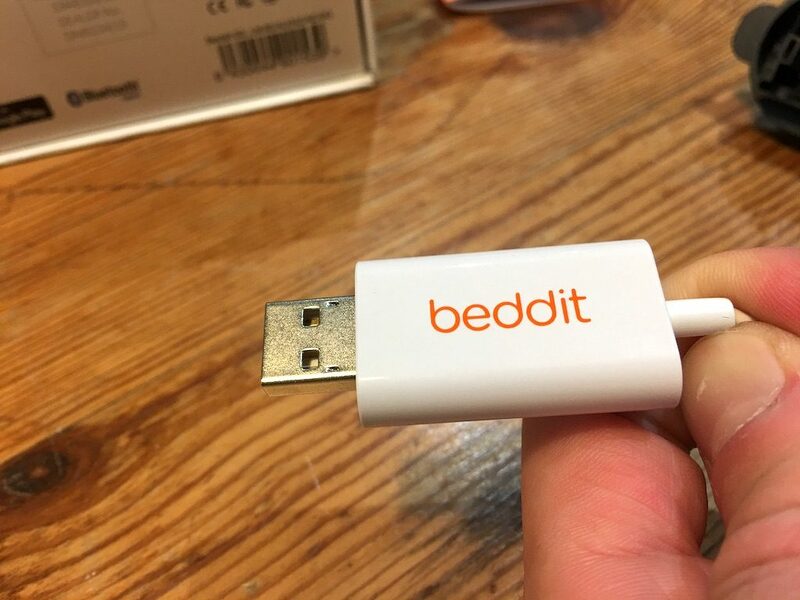 Who are Beddit and where did they come from? 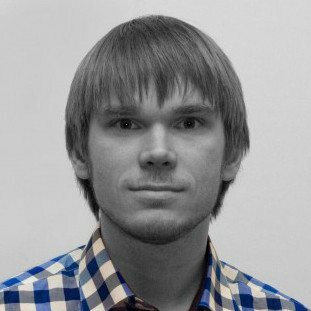 Principally the brain of one man – Joonas Paalasmaa. The CTO of the company, and crucially the Chief Scientist. A man so dedicated to sleep research, he wrote the book, well the PhD on monitoring sleep science anyway while at the University of Helsinki. 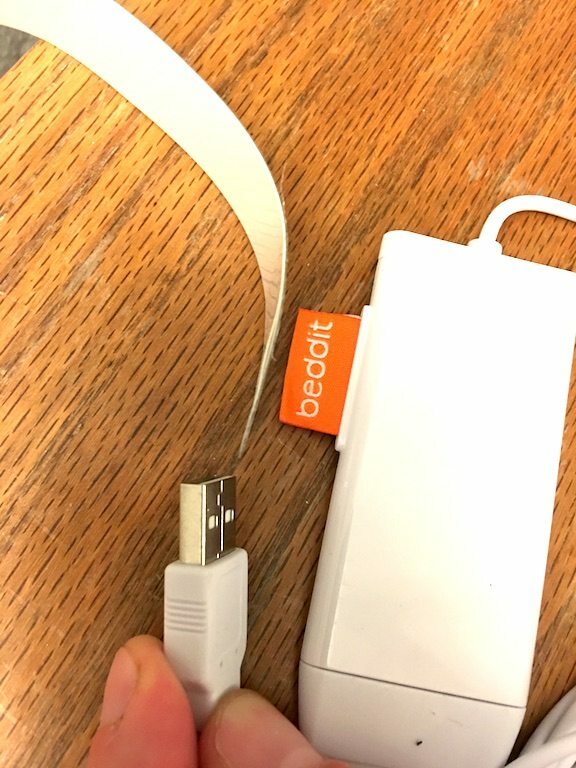 Beddit originally came to the market through an IndieGoGo campaign, but as mentioned has been on the market for 3 generations now, and has been given to accolate of being available for purchase in Apple Shops worldwide! 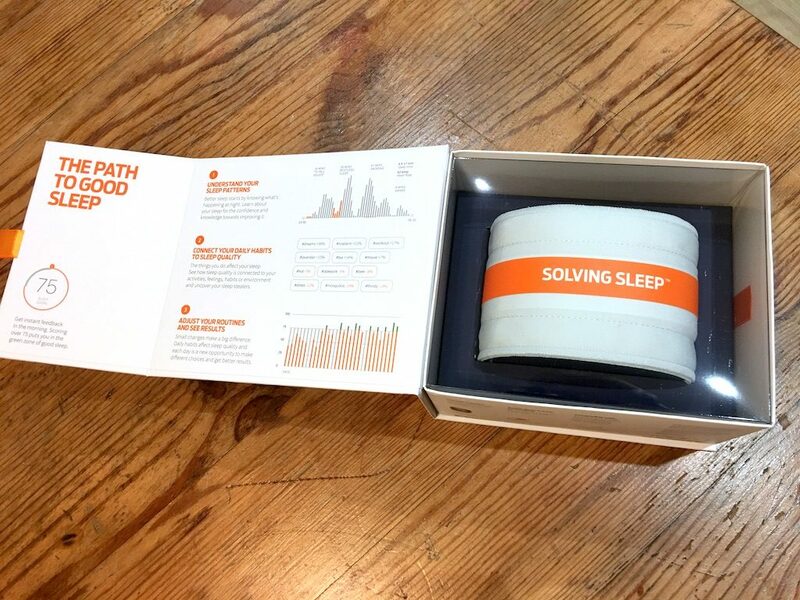 So given that we have a company focused on one area, that of sleep, let’s focus on the product! Smart alarms are nothing new. 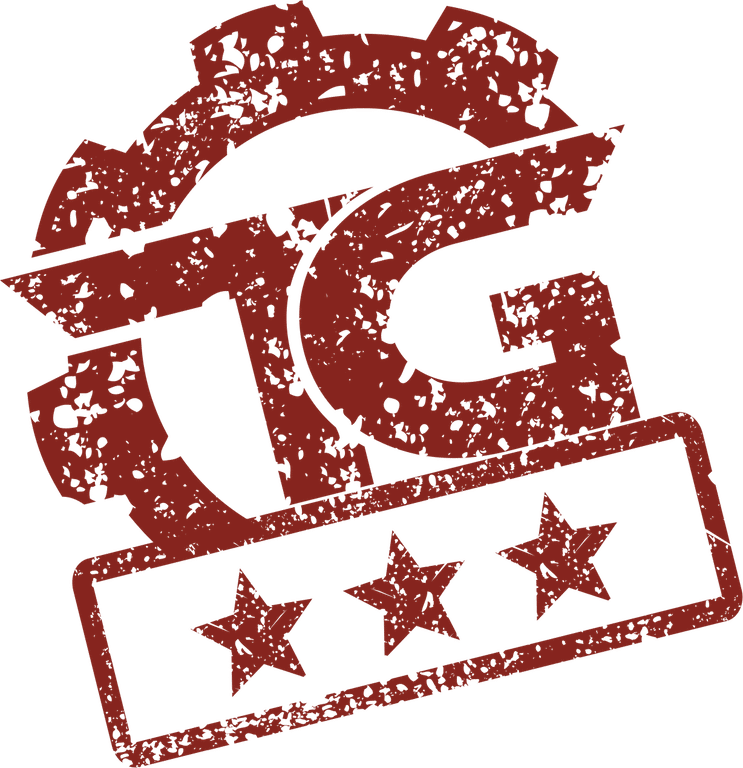 Heck, your phone can do it with this right app, most wrist devices like the Fitbit Charge have rudimentary sleep tracking, but what differs between the products is the quality of the sensors. 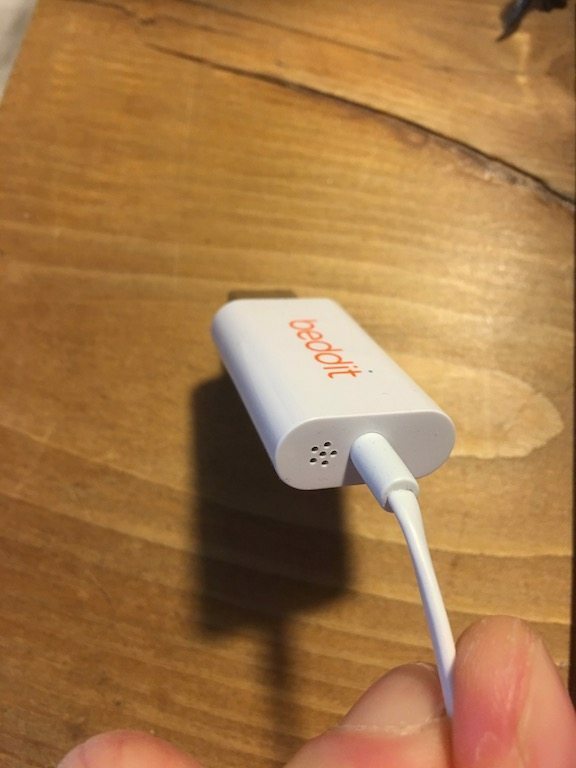 We’ve the Beddit sensors, an international USB plug adapter and the manual. I’m becoming very much a fan or the reduction in plastic bags etc. which used to be more common in products like this. Why does a manual need its own plastic bag?! 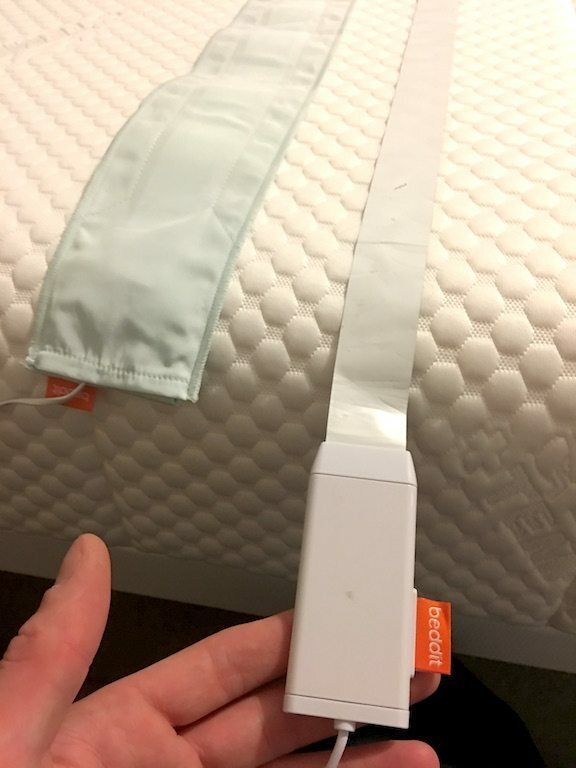 Comparing the two units again, you see the major change between Beddit 2 and Beddit 3 – the fact that the Beddit 2 has an adhesive backing, which requires you to stick the unit to your mattress. By comparison, the Beddit 3 is just placed on the mattress, and doesn’t move much due to the grippy rubber back. 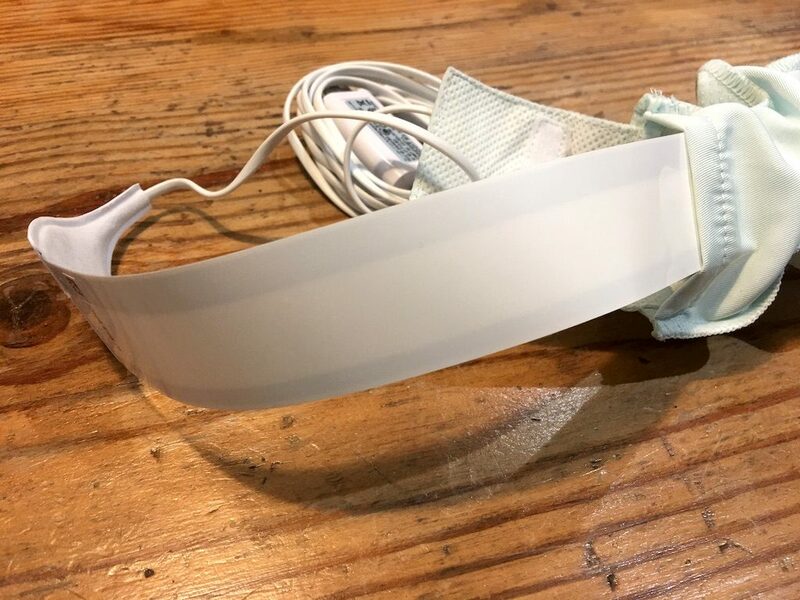 This also extends the life of the unit, as you are not going to have issues when it comes to flipping your mattress, or if you want to take the Beddit 3 with you to use as an alarm when travelling. 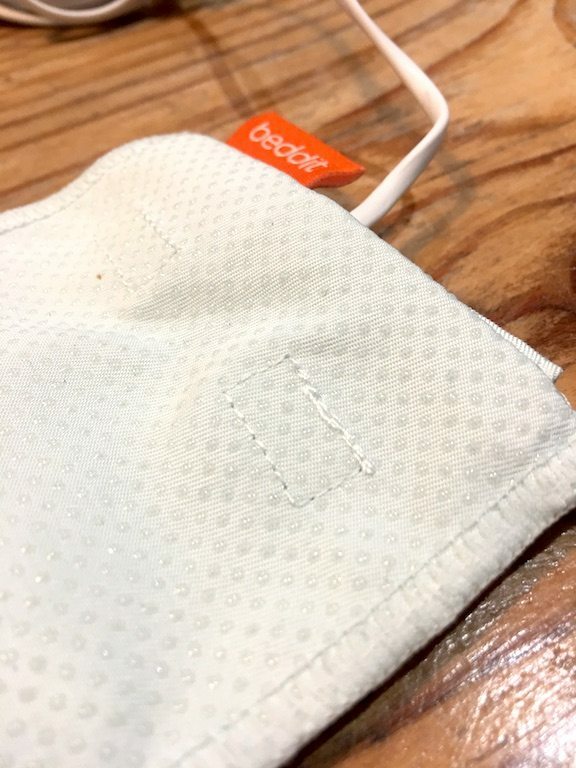 Beddit advises that the sensor is placed at approximately chest level, and is then covered by a thin blanket. 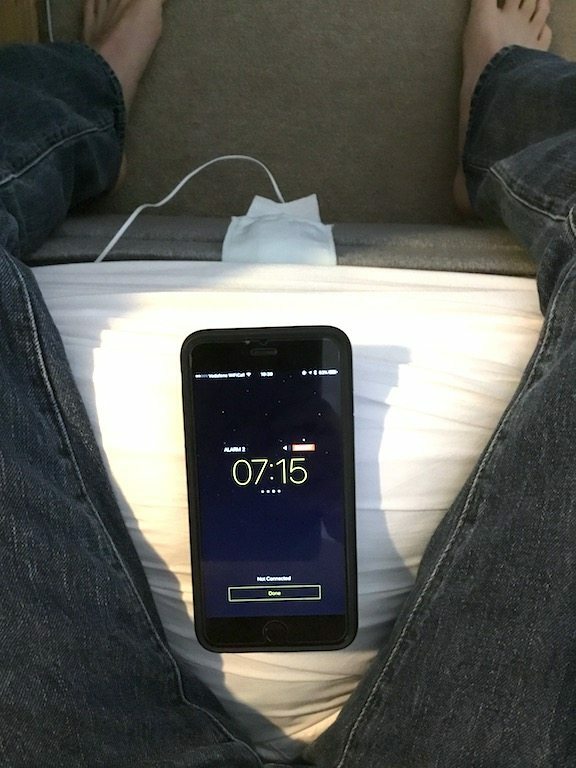 This is in contrast to the Withings Aura, which goes under the mattress. The Beddit 3 is sufficiently thin and wide that you don’t actually feel it when lying over it. 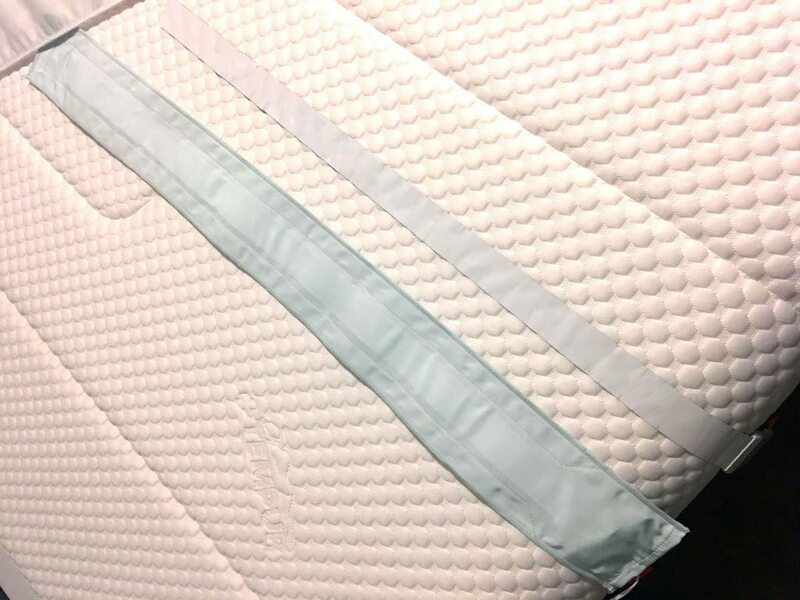 In fact, the Beddit 2, while actually thinner and narrower, (shown for comparison above), was MORE noticeable, due to the fact is was stuck down to the mattress, and didn’t move as smoothly as a result. The app is relatively easy to use, with the team having opted for a design providing information on the surface, and the more geeky aspects hidden deeper. 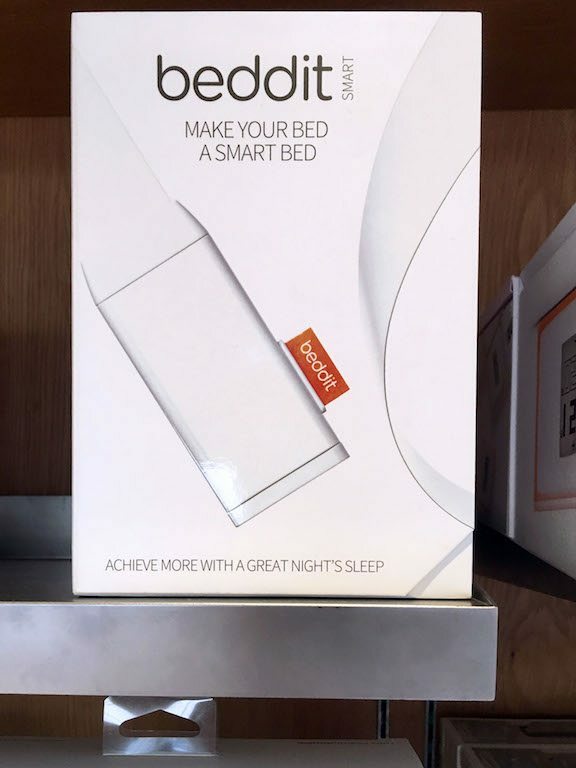 Although some of the displays still left me a little foxed initially – I think that is because the “sleep score” as a proprietary metric from Beddit, so I didn’t really have anything to grade this against. The main purpose of the app is two-fold. 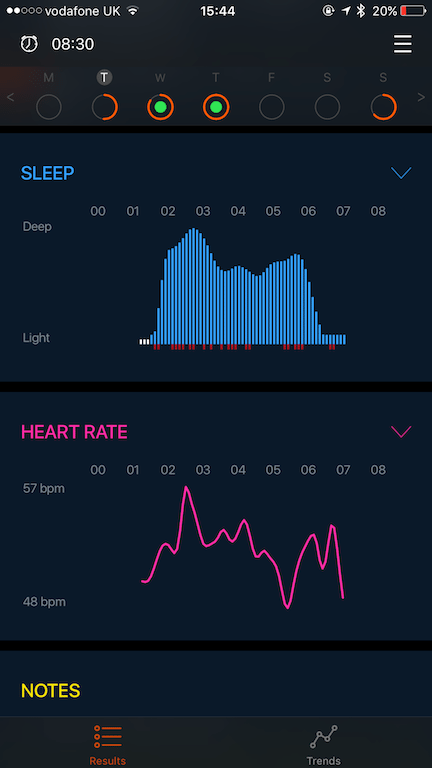 Firstly, to allow you to view your sleep data, which is interesting, but not particularly useful in the short term. Secondarily to allow you to set the smart alarm. 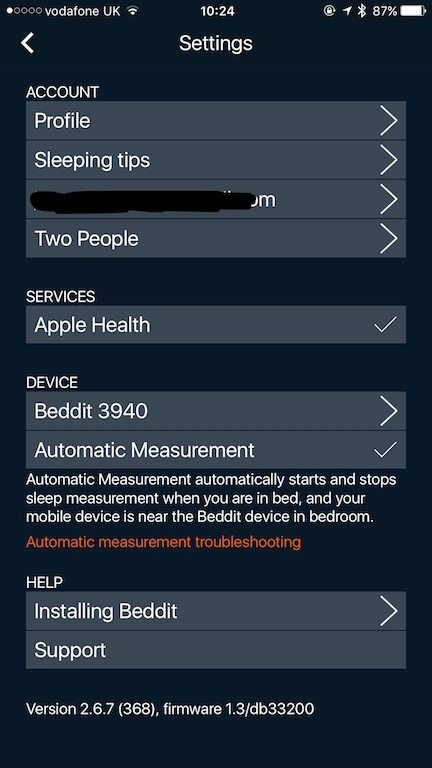 Personally, this is the main selling feature of the Beddit 3. The monitoring is only useful if you can do something with it! 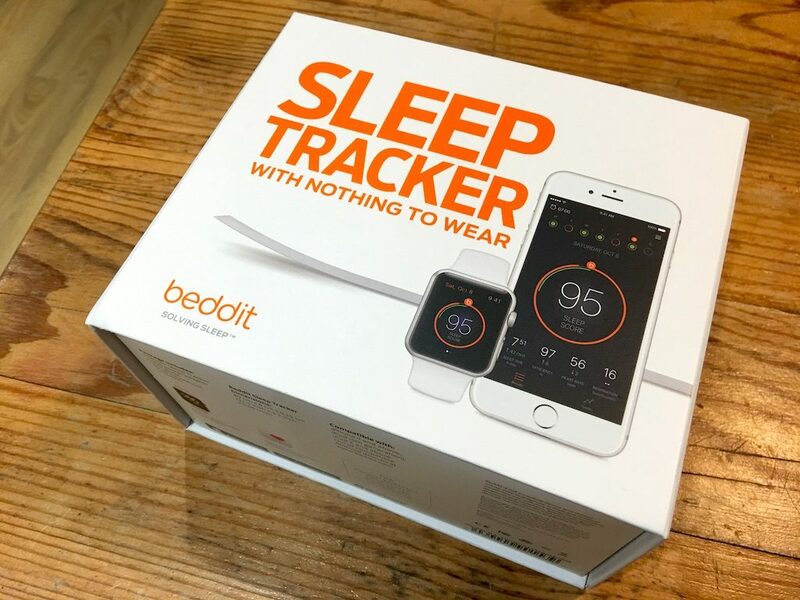 Before we go any further – What IS the Beddit sleep score? A 0-100 scale, is the simplest answer. The green part of the circle indicates optimal sleep. 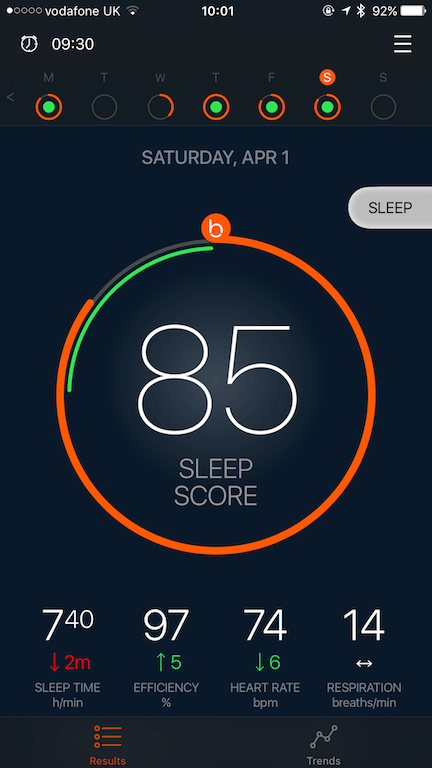 The green bar is a fixed feature; it is what your orange sleep score is measured against. Interestingly Beddit does not including sleep stages in the calculation, whether the unit can make that determination or not. So we’ve a poor sleep night, which appears to be largely based on time. Conversely, when I have slept well (or like the dead! 9 hours!! 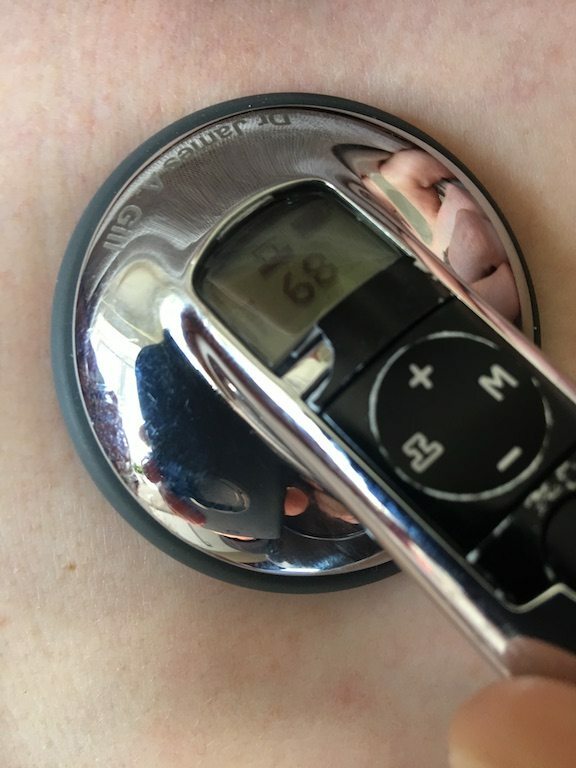 ), there is clearly more of a sleep cycle to the pattern of my movements, but I’m not furnished with anything other than the sleep duration to suggest a significant impact on the score – as my efficiency, what ever that means, was good on both nights. As a result, I actually tend to disregard the score somewhat. 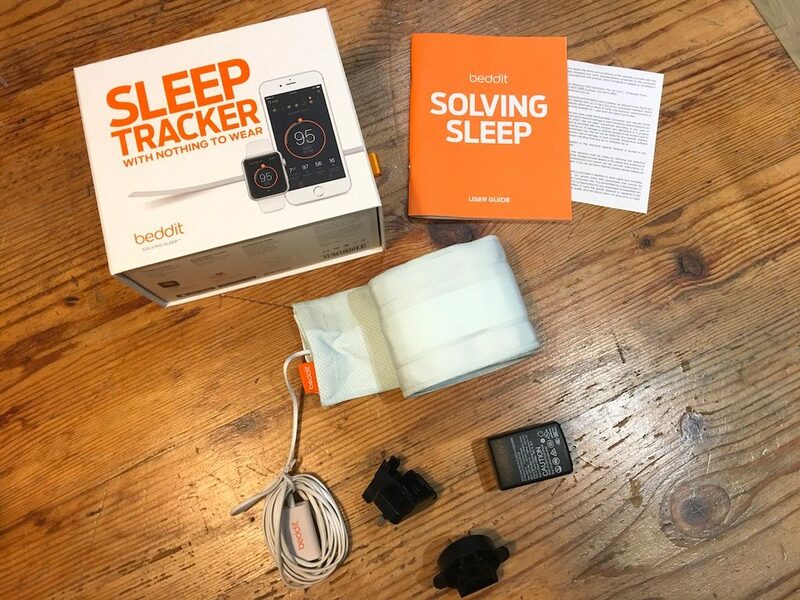 With the Beddit 2, auto-sleep tracking was available, using the proximity of your phone. Something I never got on with, as the unit would think I was going to bed when I was just in the same, room, which was irritating. 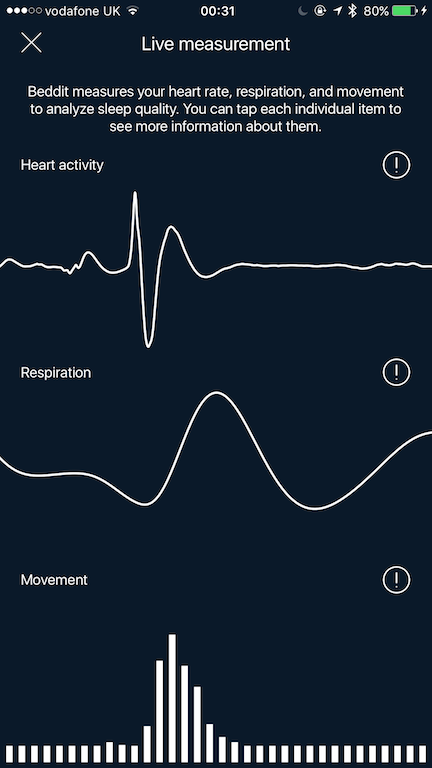 It is rather mesmerising to lie in bed and watch your own graphs, for heart rate and breathing moving along. I did find myself trying to make my breathing curve as smooth as possible. I don’t know if that is a Zen thing, but certainly felt relaxing! 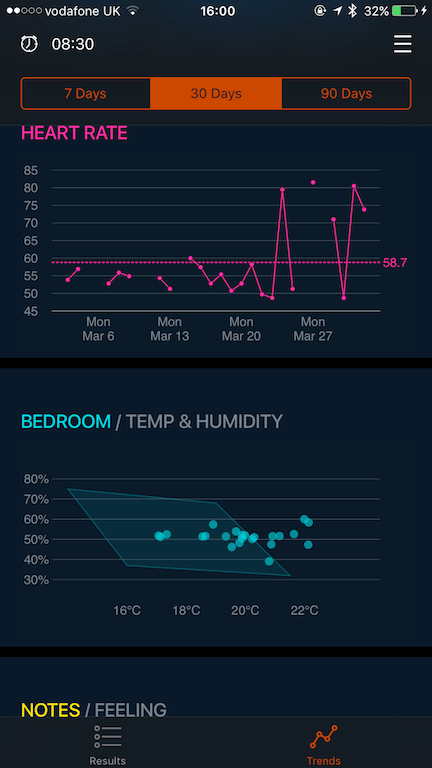 Perhaps Beddit have missed a trick, and should have included a breathing activity kin to that on the Fitbit? But at the end of the day, you select your alarm, put the phone down, and hope to sleep. That is about it. The Beddit 3, like the Apple shop it can be found in, is about simplification of concepts, and improving function delivered to the end user. The science behind the Beddit 3 is without a doubt solid, but at the same time, the end user doesn’t really have access to the data that the Beddit 3 generates to make that science a reality. 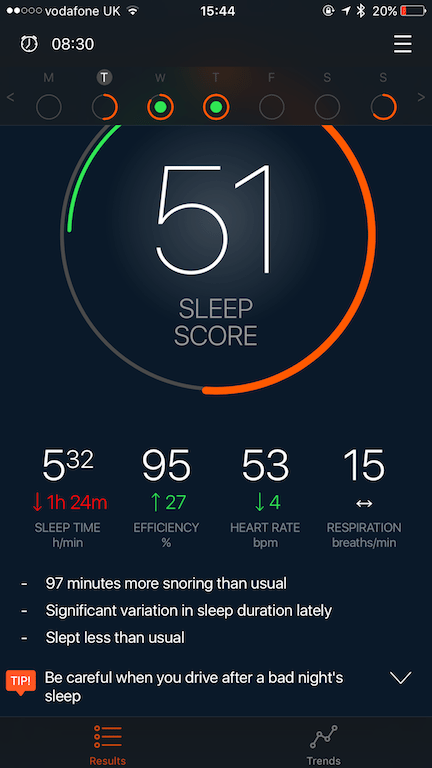 This is made very clear with the gross simplification that is the Sleep Score – it is dumbed down to such a degree that I don’t personally put any weight in the number at all. 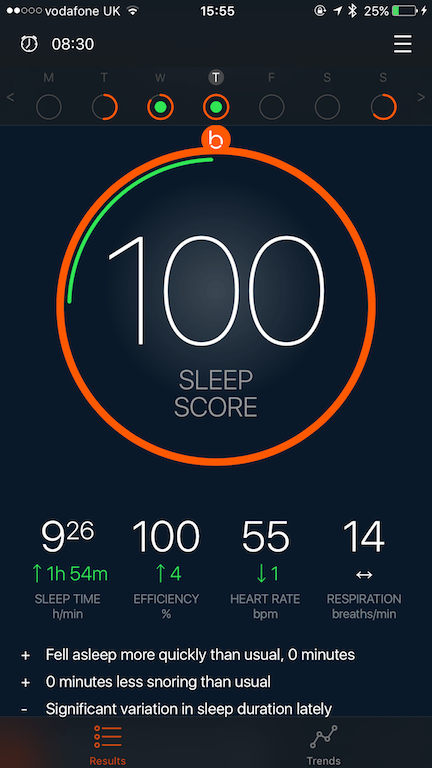 Remember that data is only valuable if it can be used, I can’t really do anything with the Sleep Score, I cant improve my sleep with it. 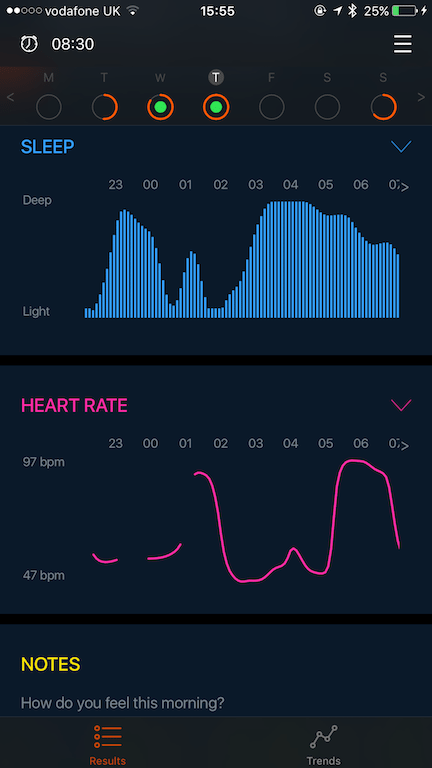 In contrast however, I do get a significant amount of use from is the smart alarm – yes it is still a black box, you set the alarm and the Beddit 3 does it’s thing – but it works, and in terms of an alarm I’m happy with that! 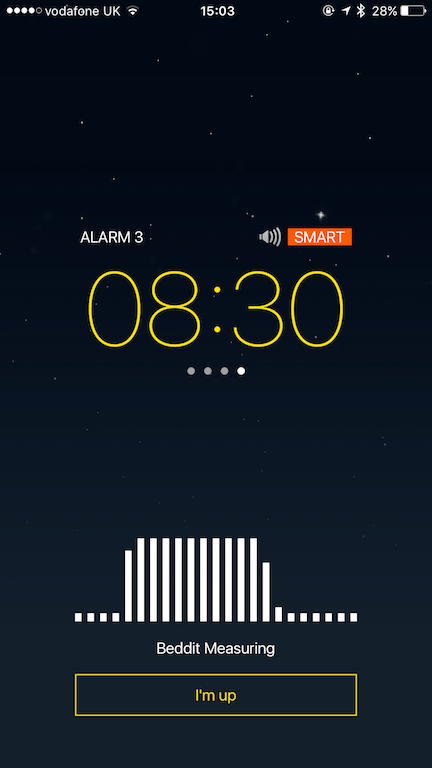 The Beddit 3 works, particularly from an alarm clock standpoint. 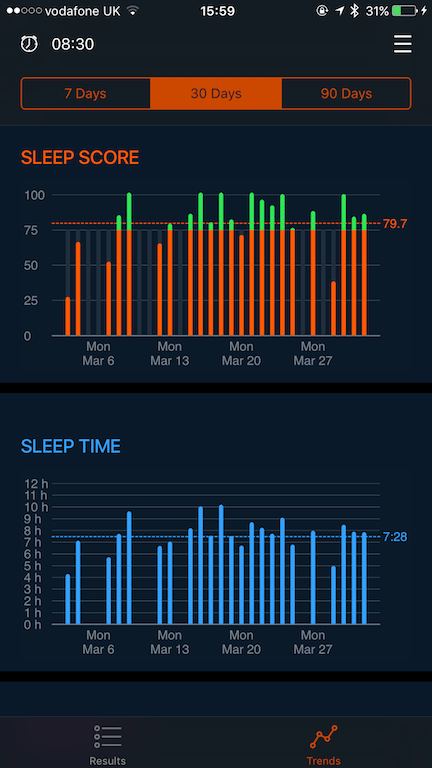 However, the geek in me wishes that I was able to get more than very superficial sleep data as the end user.